figs are suddenly everywhere to be found. i quartered some and added to a spinach salad with goat cheese and toasted walnuts. 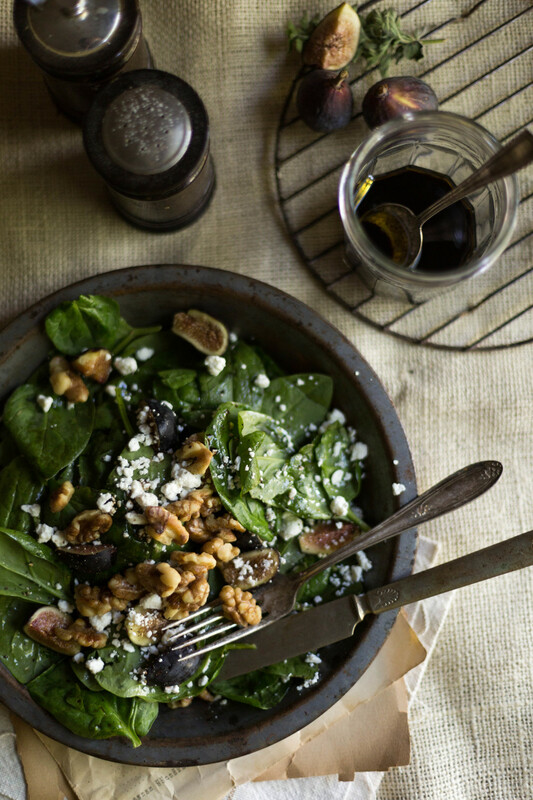 a homemade oil + balsamic dressing was all it needed, and a quick lunch was to be had. on a side note - i've been playing around with processing lately, as i'm sure you can tell. trying to figure out what works and what doesn't, although the longer i stare, the longer i start to lose it!